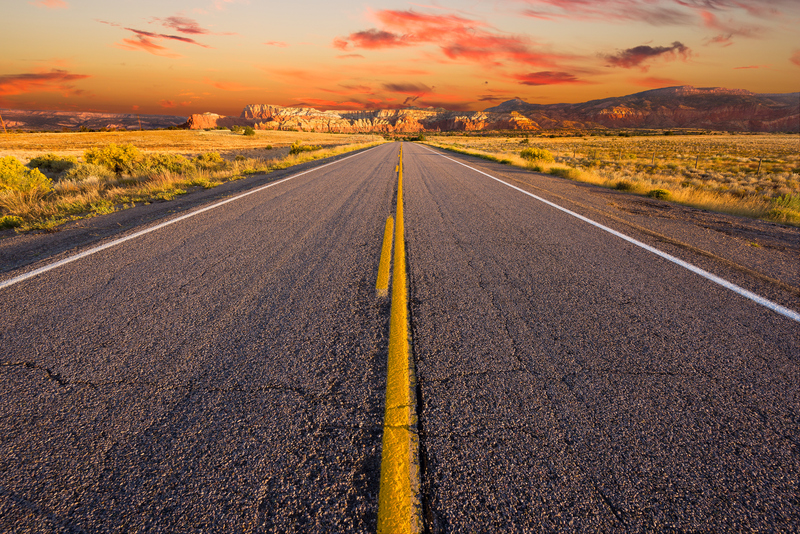 Because Santa Fe has a rich cultural past, an ideal climate, outstanding outdoor activities, world-class dining, art and cultural venues, it is a premier retirement destination. Santa Fe was named one of the best small cities in the United States by Condé Nast Traveler readers in 2016, ranking number three. 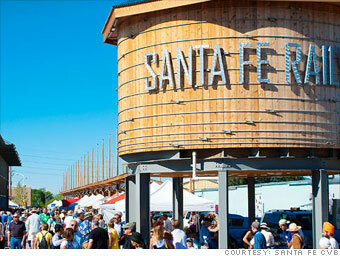 U.S. News ranked Santa Fe within its “Top Ten Best Places to Retire in 2012” and AARP Magazine named Santa Fe as one of the “Top 15 places in the U.S. to Retire.” Over 18,000 Santa Fe residents 65 and older agree. That may not seem like a large population to big city folks, but that is close to one-third of our “Big Little City” population of 70,000. Santa Fe is quick and easy to get around and cultural venues, dining and shopping are often just minutes from your home door. Santa Fe is the oldest capital in the United States, founded between 1607 and 1610. It is America’s second oldest city and has a rich ancestry of Native American, Hispanic, European and Anglo-American cultures that are alive and celebrated to this day. Santa Fe is the sum of its powerful 400-year history with many families tracing their roots back several generations. Santa Fe has always been a commercial center where goods and services were made and traded among the French, Spanish, Native American, Anglo and Mexican populations. Today this blend of cultures and are evident in Santa Fe’s unique architecture, cuisine, and world-renowned artistic offerings. Santa Fe's surrounding countryside is breathtaking in its beauty and diversity. New Mexico averages more than 280 days of sunshine per year. Santa Fe is situated in the high desert foothills of the Southern Rocky Mountains at 7,000 feet surrounded by the splendor of the Sangre de Cristo Mountains. Because of its elevation, humidity is virtually non-existent with pleasant warm summer days and refreshingly cool nights. Santa Fe has all four seasons, each moderate, beautiful and enjoyable in their own way. Average high temperatures range from 44 degrees in January to 86 in July and lows vary from 15 degrees (infrequently) in January to 54 in June. Snow falls moderately through the winter but you can count on the sun coming out almost every afternoon. New Mexico possesses three of the 21 coveted World Heritage Sites recognized by the United Nations: Chaco Culture National Historic Park, Taos Pueblo and Carlsbad Caverns National Park. 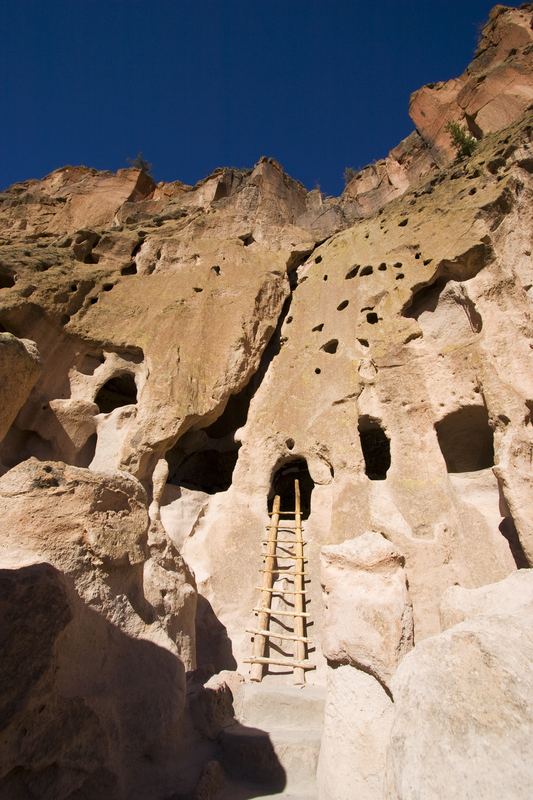 And just thirty minutes away, near Los Alamos, is the ancient Bandelier National Monument and campground. Los Alamos is home to the famous Los Alamos National Laboratory that was created during WWII to house the Manhattan Project and it now conducts multidisciplinary research in fields such as national security, space exploration, renewable energy, medicine, nanotechnology, supercomputing. For the curious and adventurous, there are about 104 Ancestral Puebloan dwellings to explore (wikipedia.org/wiki/ListofAncestralPuebloandwellingsinNewMexico) and 23 Native American Indian Reservations in New Mexico. Santa Fe is the only city in the world with more than 250 art galleries within a two-square-mile area. If you enjoy art, this is the city to browse, add to your collection and attend renowned art openings weekly in a laid-back atmosphere. Our famous Canyon Road houses more than a hundred galleries, jewelry stores, clothing boutiques, home furnishings shops, artist studios, and gourmet restaurants within its magical half-mile (visitcanyonroad.com). A contemporary mecca is the Railyard District, which was voted one of the best art districts in the country by USA Today 10Best.com readers. The Railyard District is a destination upon itself with multiple restaurants, high-end and funky western clothing stores, REI, a movie complex that includes a restaurant serving alcohol (that you can bring into the movie with you!) and our own Santa Fe Brewing Company with custom brews and always live music (santafe.org/railyard). Last, but certainly not least, is the Historic Plaza, the heart and center of Santa Fe that is surrounded by about 100 high-end jewelry stores, art galleries, restaurants and clothing stores including individual street vendors such as Pueblo Indian artists outside of the Palace of the Governors. The Plaza is also surrounded by some of the most nationally renowned hotels, museums, and other historical sites. Blocks from the Plaza is the Georgia O’Keefe Museum, which is the single largest repository of O'Keeffe's work in the world. 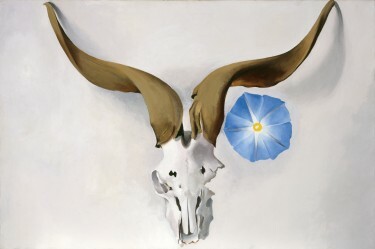 O’ Keefe was so inspired by the beauty of northern New Mexico, she lived and worked here most of her life. Within a short drive, you can visit her beloved Ghost Ranch, which has continuous retreats and workshops, (ghostranch.org/education/featured-retreats) and you can also visit her second home in the village of Abiquiu. For more than 12 years Santa Fe has hosted the innovative International Folk Art Market that supports more than 700 master folk artists from 87 countries. Artists take home 90% of their earnings, giving them the opportunity to implement social change in their communities by improving employment, healthcare, education, and well-being (Click here for IFAM Site). Collectors, museum and store owners fly in from all over the country to buy the most beautiful and unique hand-crafted global art. The International Folk Festival was voted Best Art Festival by USA Today's’ Reader’s Choice Award. 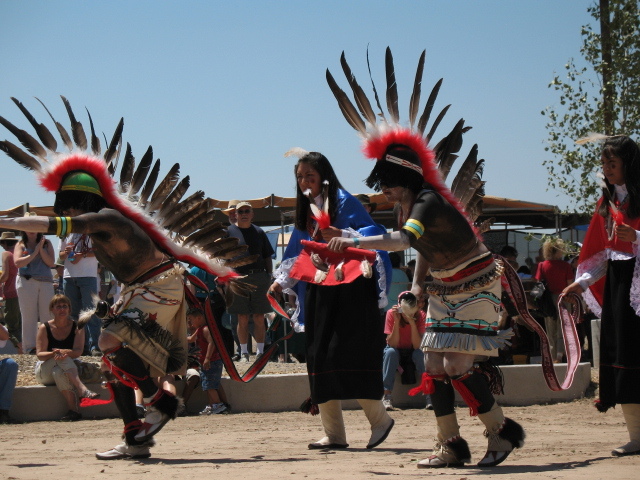 The Santa Fe Indian Market® is a 95-year-old Native art market. It is the largest and most prestigious juried Native art show in the world and the largest cultural event in the southwest. Over 1,100 Native artists representing over 100 tribes from the U.S. and Canada sell their artwork. For many visitors, this is a rare opportunity to meet the artists and learn about contemporary Indian arts and cultures. Quality and authenticity are the hallmarks of the Santa Fe Indian Market. Also notable are the Wine & Chile Fiesta, the Santa Fe Harvest Festival and the famous Albuquerque Hot Air Balloon Fiesta. The Opera also broadcasts in high definition at the beautiful Lensic Performing Arts Center. Only one block from the Plaza, the Lensic is a nonprofit, member-supported performing arts center that hosts more than 200 events throughout the year. Hosting in its historic, beautiful building everything from theater, music, and dance performances to literary happenings, films, and lectures. Year-round programming is integral to its mission to present local, national, and international artists in diverse, cross-cultural performances. Other performing arts organizations include The Aspen Santa Fe Ballet, The Santa Fe Playhouse and the Santa Fe Performing Arts Company and other amateur and children’s performances. It’s no wonder Santa Fe became the first city to receive the “Creative City” designation from the United Nations Educational, Scientific and Cultural Organization in 2005! It would be no surprise that Santa Fe attracts a huge diversity of healing and medical treatment modalities because of its diverse blend of historic cultures and its immense beauty and healthy climate and lifestyle that attracts 100’s of practitioners. There are well over 100 alternative healthcare professionals in Santa Fe and many integrative holistic healing centers and world-class bodywork and skin care in addition to traditional hospitals, clinics and doctors. Listed in the book “100 Things You Must Do Before You Die,” is the spectacular outdoor Japanese-style hot tub and spa 10,000 Waves. Nestled within the piñons and junipers of the Sangre de Cristo Mountains, the sprawling complex offers world-class bodywork, skin care, lodging and the amazing Izanami restaurant. Santa Fe has been voted America's healthiest city by Organic Magazine and one of the reasons is our year-round, permanent Farmer’s Market. It began in the 1960’s with farmers selling their products from the back of their truck to develop into its present day huge indoor/outdoor LEED (highest achievement in green building) Building. There are approximately 150 vendors offering organic produce, meats, dairy, flowers, body care products and arts and crafts. Consider yourself a foodie? Santa Fe is a food lover's paradise. Ask the locals to name their favorite Santa Fe restaurants and you'll end up with a lengthy list that includes everything from innovative and traditional Southwestern fare to creative contemporary cuisine or Asian, French, Italian, Indian or Middle Eastern cuisine. Santa Fe has earned a prominent place on the world's culinary map with some notables including Geronimo’s, The Compound (both on Canyon Road) and locals' favorite Tía Sophia's, which is credited with inventing the breakfast burrito in the '70s. There are also many authentic, owner-operated food trucks throughout the city and its surrounding villages.